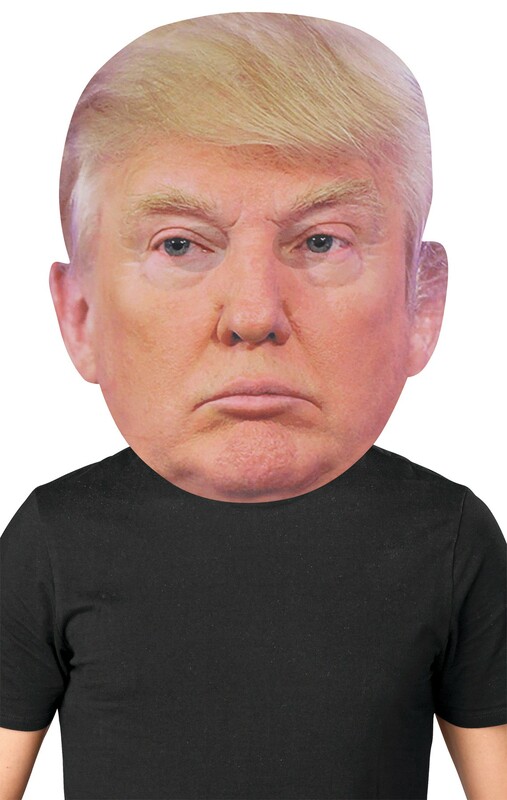 The bigly-est mask of them all! It's yuge! 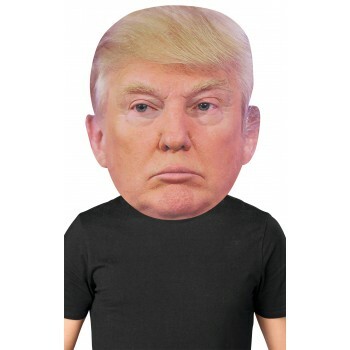 This oversized Donald Trump mask is made from thick foam board and covered with a realistic image of Donald Trump. The eyes are transparent and the mask attaches via an elastic band with two soft foam blocks at forehead and chin for comfortable wear. Measures 16 inches tall by 13 inches wide.